This week’s grape variety hails from Tuscany. It was originally mentioned in conjunction with the vineyards of the Castello di Brolio of Barone Ricasoli. 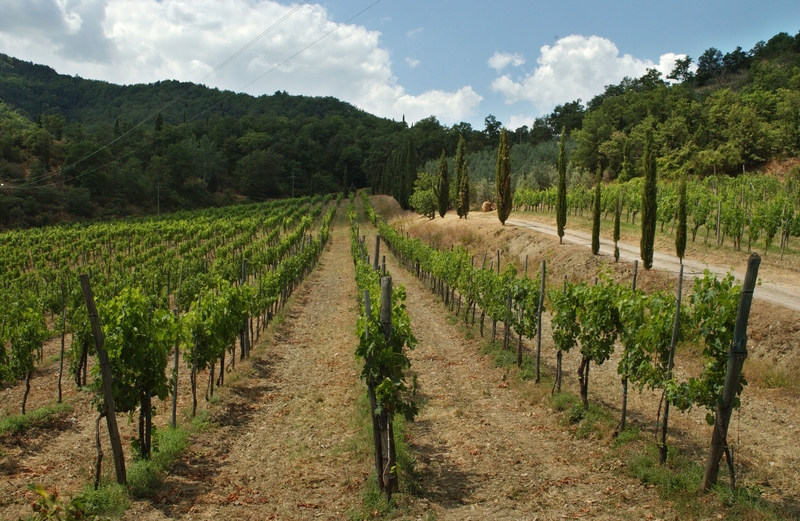 It is said to grow only in Chianti where it adds color and body to Sangiovese based wines. A number of Tuscan producers work with this grape variety. I have had the pleasure of also tasting this wine as a mono-varietal or “in purezza” as they say in Italian, near the city of Arezzo at Mannucci Droandi, a winery in the Valdarno area of Tuscany near the town of Montevarchi in the past few years. The Mannucci Droandi family has been farming their land for many years, but used to sell their grapes until the 1990s, when they began making their own wines. The owner Roberto Giulio Droandi and his wife Maria Grazia Mammuccini run the estate They have two properties: the first is the Campolucci that has 6.5 hectares and is located on the eastern slopes of the Chianti Mountains at about 250 meters above sea level. The family has owned this property since 1929 and its alluvial, sandy and silt soils are organically certified. The second property is called Ceppeto, and is surrounded by dense woodland. 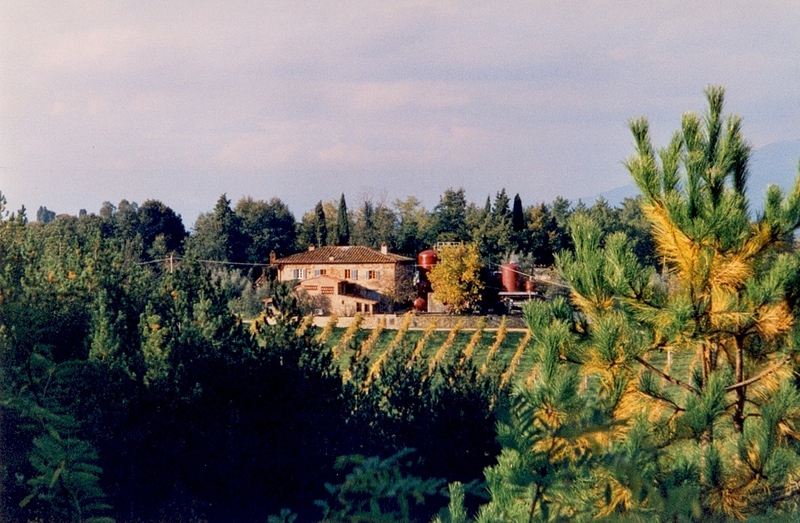 This property is on the western side of the Chianti Mountains at 450 meters above sea level. The soils are a mix of clay and stones and are also organically certified. The winery has been a hub for a project with the Consiglio per la Ricerca e la Sperimentazione in Agricoltura; they are working to bring back extinct and nearly extinct Tuscan varieties. Because of legislation and market forces, Tuscany, and the rest of Italy, now have many fewer varietals. Roberto said he used to have field blends throughout his lands and, at one point, grubbed them up. He is now quite sorry he did that. He also found numerous grapes growing on his land that are unique. The study with the university is to see how some of these older varieties can grow today. According to the University, the change in viticulture is a negative consequence of specialization, and is harmful for the genetic patrimony of the vine. Some of the grape varieties that were growing did well on the property while others did not. Foglia tonda was one of those that did well. In the cellar, the Foglia Tonda grapes are de-stemmed and gently crushed and then fermented in small vats (10–15 hectoliters), with prolonged maceration (20 days) and pumping-over alternated with delestage; a two-step “rack-and-return” process in which fermenting red wine juice is separated from the grape solids by racking and then returned to the fermenting vat to re-soak the solids. This step is then repeated daily. The wine is aged for eight months in French oak barrels used for the 2nd and 3rd time and then in the bottle for three months. I enjoyed the wine and particularly the novelty of it all.